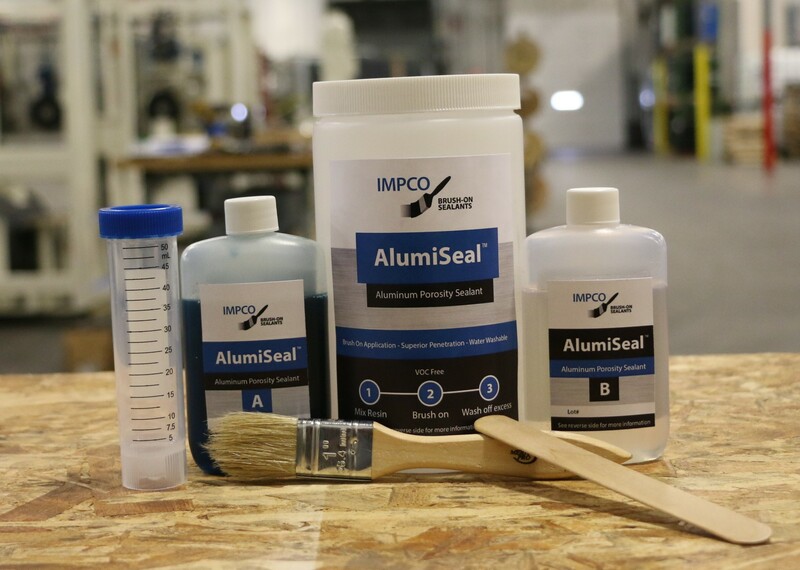 AlumiSeal™ is a uniquely formulated, 2 part, VOC free Brush-On-Sealant™. 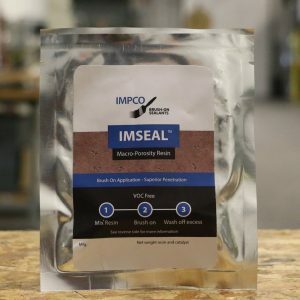 Its unique chemistry and low dynamic viscosity enable it to wick deeply into pores or seams and between close-fitting non-ferrous metal surfaces. 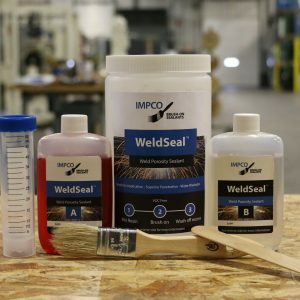 AlumiSeal’s unique chemistry allows fast, easy cleanup of parts, tools, and brushes with water – no detergents or solvents are required. 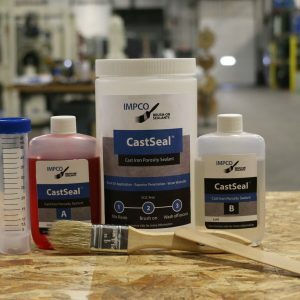 Mixing the sealant’s two components creates a VOC-free, low-viscosity, pale-blue liquid that can be easily applied by brush. Its room temperature cure mechanism is designed to cure within 24 hours for operational use. 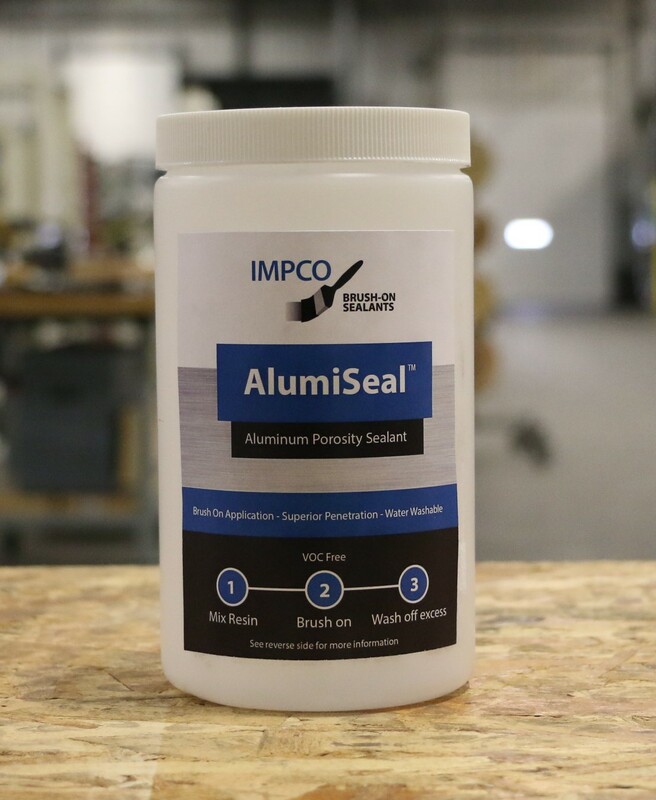 Once AlumiSeal™ has cured, any excess material on the surface of the part is easily rinsed away with water, leaving the surface clean and ready for painting or other finishing. AlumiSeal™ does not alter critical surface dimensions. 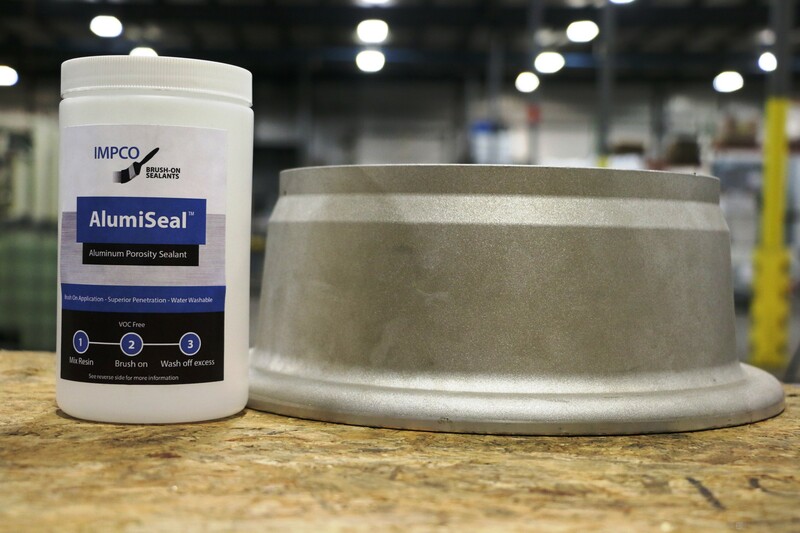 AlumiSeal™ forms a pressure-tight seal that withstands continuous service temperatures of up to 180° C (356° F). Cured AlumiSeal™ has a typical hardness of 78 Shore D (ASTM D2240) and exhibits excellent resistance to a broad range of chemicals, including oils, glycol, chlorinated and fluorinated solvents, mild caustics, acid solutions, and water. AlumiSeal™ has a shelf life of 12 months. 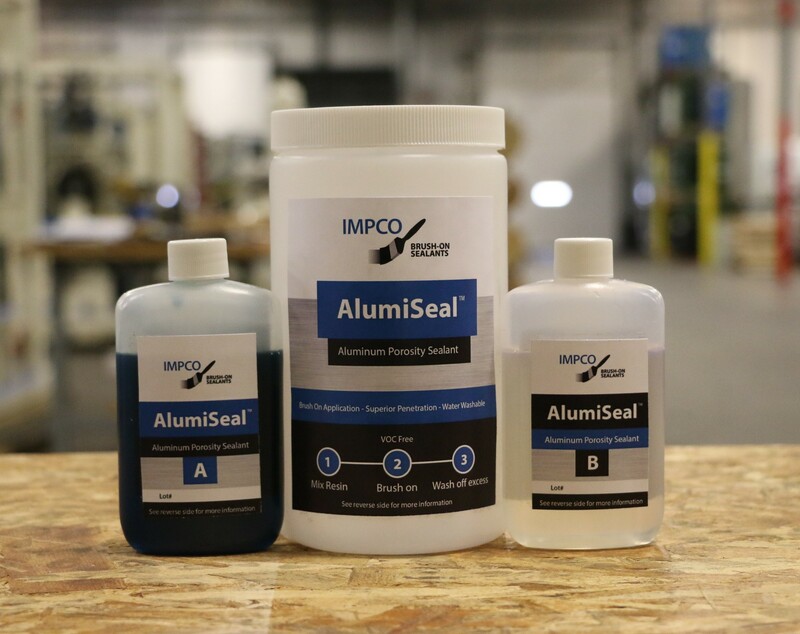 Once mixed, AlumiSeal™ has an extended pot life of about one day, allowing multiple parts to be treated from the same kit. Approximately 685-960 in² ( 4420 – 6200 cm²). Coverage could vary depending based on factors such as base alloy, surface roughness, degree and depth of porosity, etc. Orders will ship within 24 hours after being processed. Bulk order discounts are available for the following quantities. 10-14: 5% 15-24: 10% 25 and up: 15% The total price will be noted in your shopping cart. Under limited quantity shipping regulations, AlumiSeal can be shipped by air or ground without restrictions.